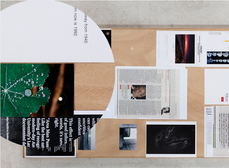 Since the mid 1980s, Wolfgang Tillmans has reinterpreted representational genres from portraiture to still life to landscape through the medium of photography. Tillmans has developed a highly distinctive style of image making that freely embraces a broad range of subjects ─ from profound experiences of the everyday to abstractions that result from experiments with the photographic process combined with his innovative exhibition strategies has changed the way in which photographic images are made, read and received. Winner of the Turner Prize in 2000, tonight is a unique opportunity to hear him talk about his work.